The internet changed the way that the United States does finance. As borrowers, we expect to find loan information online. Chase approved me for my latest credit card seconds after I applied online. You can look for mortgages, student loans, and personal loans online. You can even lend money to peers using platforms like Lending Club. But not every market changed at the same pace. Even today, hard money lending is a fractured and inefficient market. PeerStreet aims to change that. PeerStreet is the first online platform that helps investors to invest in hard money loans. 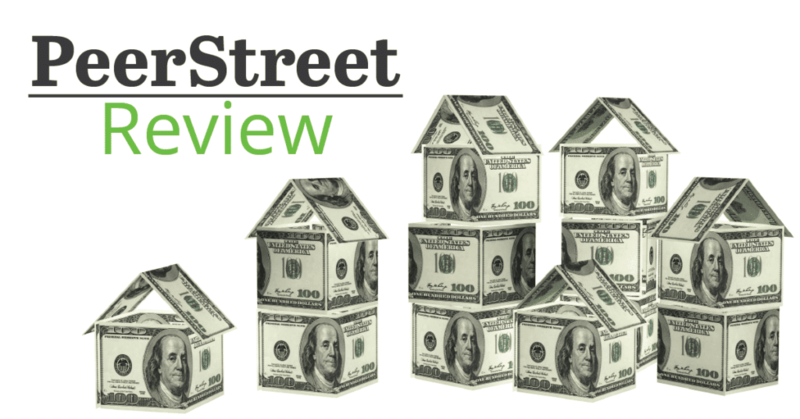 PeerStreet is a “crowdfunding” platform for real estate loans. It’s crowdfunding in the sense that investors pool money together to buy a real estate loan. Most people conflate crowdfunding with peer to peer lending. PeerStreet is not a peer to peer lending platform because PeerStreet doesn’t lend directly to borrowers. It’s more accurate to call them a secondary loan marketplace. PeerStreet buys loans from private lenders who have already made the deal. Most of the loans on the platform are commercial real estate improvement or development loans. A typical loan on PeerStreet has a maturity around one year. Over the course of the last several years, PeerStreet’s entire portfolio of loans has earned 7-12% annually after the investment fees (of up to 1%). All loans on the PeerStreet platform are backed by a First Lien position. That means if the project goes belly-up, PeerStreet gets the underlying asset. At that point, PeerStreet will liquidate the asset and investors will get some money back. It’s still unclear how much investors will lose during a default because PeerStreet still hasn’t had a borrower default on a loan. Nobody should expect that record to last, but PeerStreet investors have some downside protection. 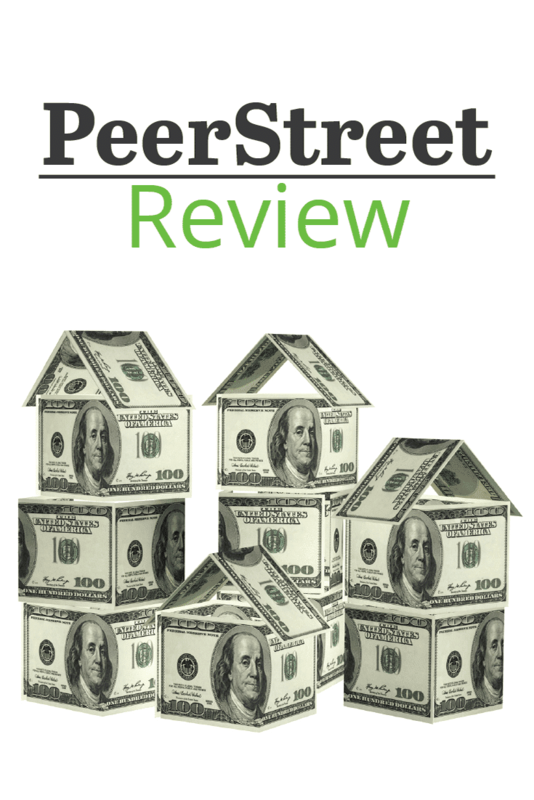 PeerStreet uses data science and a manual underwriting process to select the best loans for PeerStreet investors. Their zero default record shows that the highly fractured and inefficient real estate market means investors have a chance to make heady risk adjusted returns. PeerStreet also encourages investors to maintain a diverse portfolio of loans. With a $1,000 per loan minimum, most investors can diversify into a nationwide marketplace without too much difficulty. In fact, PeerStreet even makes it easy to invest automatically. Investors just input investment settings, and PeerStreet matches them with loan investment opportunities. Finally, all loans on PeerStreet are backed by a hard asset (real estate), and the loans typically have a great loan-to-value ratio. In general, investors will find LTVs between 60-70% of the property’s value. The max LTV on the PeerStreet platform is 75%. Most people would call this a low risk loan. So far, PeerStreet has offered investors high returns and low risk, but the platform has it’s own drawbacks. First, to invest on PeerStreet, you need to be an accredited investor. “Accredited Investor” is a term designated and defined by the Securities and Exchange Commission (SEC). Under the federal law Regulation D in the Securities Act of 1933, certain companies are exempt from registering the sale of securities, which are typically forms of stocks or bonds, and in the case of PeerStreet, real estate debt. If exempt, companies are required to sell only to accredited investors. The law was designed to protect those individuals without a certain net-worth from major loss of liquidity, when purchasing an unregistered security. Accredited investors are viewed as more sophisticated investors, capable of taking on the risk that some securities present. That means you need to have a net worth of greater than $1 million (excluding the value of your home), or you need to earn more than $200,000 per year ($300,000 as a couple). You should always keep in mind the illiquid nature of the investment. You cannot sell your investment. You have to wait for the borrower to pay off the loan before you get your capital back. The borrower will make interest payments throughout the life of the loan. Another drawback to PeerStreet is that it’s hard for an outsider to estimate risk. Real estate is highly cyclical. We’re in an expansionary real estate market. That means that default risk on real estate loans is low right now. However, at some point in the future, borrowers will start to default on the PeerStreet loans. Investors have no expectations for how much they can recoup when a deal goes belly-up. It’s my opinion that PeerStreet oversells the safety of their investments. Some of these loans are for renovations and remodels. The developer must complete the project, or the property will be worth less than when it started. Finally, PeerStreet is an expensive platform. PeerStreet charges a servicing fee of 0.25-1% on every loan that you invest in. That means that if your loan yields 10%, you’ll receive a 9% interest rate. If you’re an accredited investor, you can create an account at PeerStreet and start browsing investment opportunities immediately. Whenever you’re ready, you can fund an account with as little as $1000 to start investing. As soon as you find an investment you like, you can fund it with your money. You can even shelter your earnings using a self directed IRA. What do you think of crowfunding investing? Would you ever consider trying it and why or why not? If you have a high net worth, you may be interested in PeerStreet, a “crowdfunding” platform for real estate loans. Learn more in this review. I have been a PeerStreet guy for a year now and have, thus far, been satisfied. Regarding your Con about the Service Fee. I think of it as insurance to pay for the expertise in the due diligence process and the bankruptcy process that allows them to continue to boast that they have had zero principal defaults for their investors. I don’t lose too much sleep over them making a basis point. A loan yield 8% and netting me 7% with a low LTV, I’ll buy that all day. Thanks for posting. They are a great platform to invest into. I started with Peer Street about a year ago and of my first three loans, out of a total of five, all three have matured and the borrower has not paid back the principal. A representative of Peer Street has assured me that in most cases they make the payment or refinance and that Peer Street can foreclose. However, if this has happened with my first three investments then this means Peer Street is taking on loans that are too risky and it will end up being expensive for them to pay legal fees and costs to take over and sell properties. This seems to be defying common sense. For there to be returns of 6-9%, somebody needs to pay that rate in interest. Who would pay more than 4% on a mortgage? Only people who don’t get a mortgage with a traditional lender. What am I missing here? PeerStreet isn’t a mortgage lender. They are lending for investment properties – many are fix and flip loans. Short term, higher risk loans. That’s why you’re earning more than other investments.